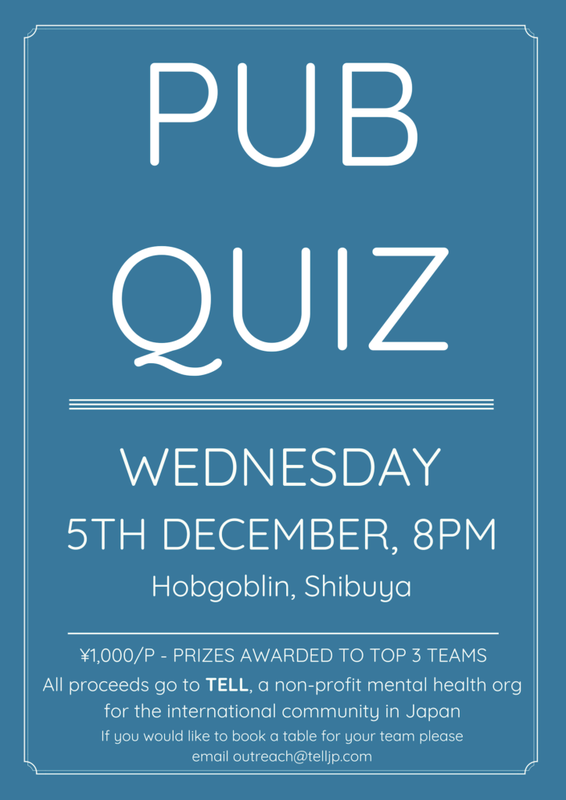 ‘Tis the season to put your brain to work for the pub quiz! Celebrate getting through another Wednesday with TELL’s monthly pub quiz. You’ll be challenged, stumped, and you may go home with prizes! 1000 yen per person to participate, up to six members on a team. Email outreach@telljp.com to reserve a table for your team. Prizes for the top three teams. If you don’t have a team, turn up and let the quizmaster know and they’ll find you a team to play with.